Chancellor’s Green has the knowledgeable staff that can give you that high-quality lawn you have always dreamed about, and we guarantee, we’ll get the neighbors talking! Early Spring : Late February – March ( Controls crabgrass and some other grassy weeds). 1st treatment: Pre – emergent crabgrass control + Complete lawn fertilizer. Mid Spring: April ( seasonal weeds growing time). 2nd Treatment: Broad-leaf weed control spot treatment. 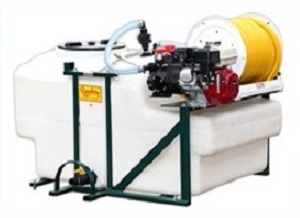 3rd Treatment: Fertilizer; Improve the color as well as density. Late Spring : June (Remaining and new weeds growing in the lawn). 4nd Treatment: Broad-leaf weed control spot treatment. Early Summer: July ( Helps control grubs, fleas and ticks as well). Two treatments applied during this visit. 5th Treatment : Grub + Insect Control. Summer: August ( pH metering and summer broad-leaf weed control ). 7th Treatment: Soil testing & Broad-leaf weed control spot treatment. Fall: September – October ( Perfect time for aeration, over-seeding and recovery from summer heat stress). 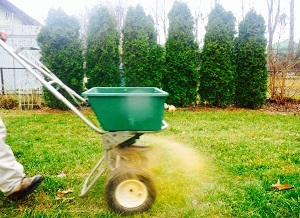 Late Fall: November ( Strengthening of the root system of the lawn). Winter: December ( According to soil tests results). 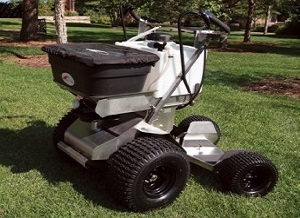 Chancellor’s Green will use the right equipment to properly apply fertilizers. 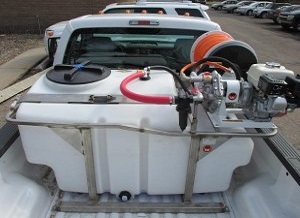 We do safe weed control, according to technical and environmental requirements. Crabgrass is a weed almost everyone is familiar with.Two species are common in Virginia; Smooth crabgrass, Digitaria ischaemun, and Large crabgrass, Digitaria sanguinalis. As annuals, they germinate, set seed, and die within one year. 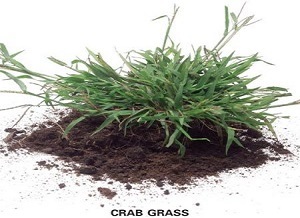 As an annual weed, crabgrass spreads primarily by seed and doesn’t have rhizomes or stolons. 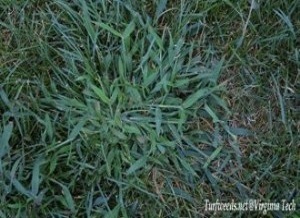 Crabgrass is easy to manage using a variety of cultural and chemical controls. Controlling crabgrass before it sets seed is important, because the seeds can remain viable for at least 3 years in soil. 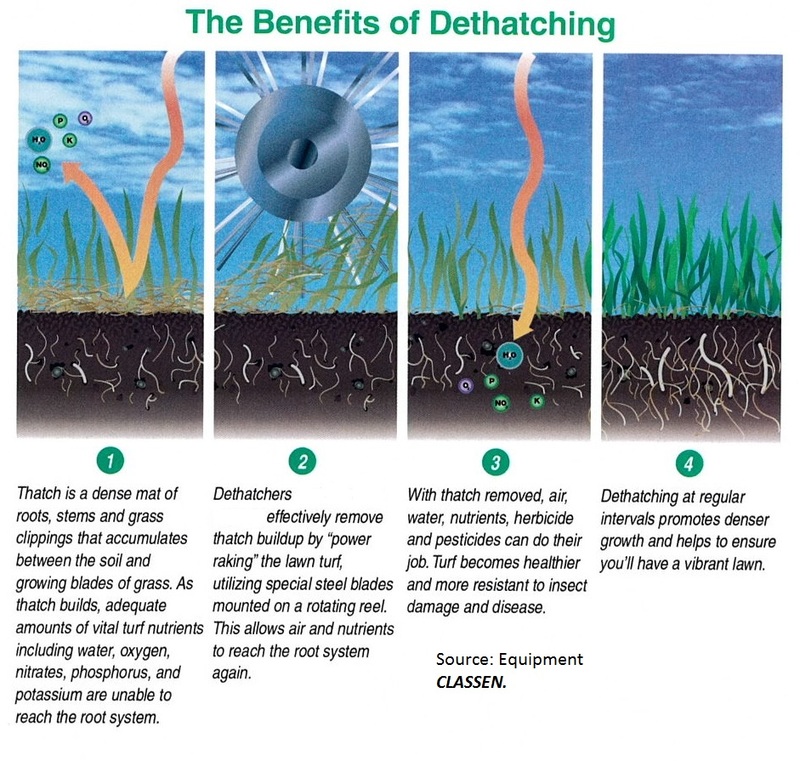 Because crabgrass spreads and reproduces primarily by seed, any cultural efforts that reduce seed production will decrease the potential of crabgrass invasion. These include using the proper mowing height, selecting the best turf species, overseeding to keep turfgrass thick, applying fertilizer at the correct time of year, and proper irrigation. Irrigation timing and amount also can affect crabgrass germination and growth. Overwatered turf on turf that receives daily, light irrigation becomes weak and vulnerable to invasion by this grassy weed. Often, crabgrass first appears in open areas with no turf, along sidewalks where the soil can be warmer, or around areas where turf is mowed more closely. Fertilizers can increase turfgrass vigor and reduce the possibility of a crabgrass invasion. The best time to fertilize is when the turf is actively growing, because seedling crabgrass isn’t very competitive, a vigorously growing turf will crowd out new seedling. Spring is the best time to take care of this grassy weed. Please Do not skip the first treatment of our program. The most significant insect pest to attack Virginia turfgrasses is most often the grubworm or white grub. When disturbed in the soil the grub will curl into a “C” shape and lay motionless for period as pictured in Figure. White grubs are the larval stages of several different scarab beetles, and they come in many different sizes ranging from less than one-quarter inch in length for grubs of the Black Turfgrass Ataenius to over one inch in length for the grubs of the Green June beetle. Most grubs have an annual life cycle similar to that in Figure . Grubs feed on turfgrass roots with chewing mouthparts. Because of the damage to the roots, the most noticeable symptom is wilting during dry periods. Overwintering grubs burrow several inches into the soil to survive the cold and then begin to migrate to the surface as the soil temperatures warm in the spring, all the time feeding on plant roots. By late spring they will reach their maximum size as worms before they go through their final metamorphosis from grub to beetle. Due to their size, chemical control is very difficult at this time. The optimum time to treat for grubs is mid-July through mid-August after the next generation’s eggs have hatched and the immature grubs are very small and near the soil surface. Insecticides must be watered into the soil according to label directions in order to be effective. As winged, adult beetles emerge, most are only interested in mating in order to lay eggs for the next generation. However, the Japanese beetle is a serious adult pest, feeding on many trees, shrubs, ornamentals, and vegetables around the landscape. The adults are often treated with insecticides for the damage they cause on these plants, but control of the adults is still fairly inconsequential as regards to controlling grubs that will attack turfgrass root systems. Spring is not the best time to treat grubs because their large size makes them difficult to control. Our program offers treatment #5 for grub control. To avoid damage to your turf, please do not skip this service. Developing good soil structure under a turf is possible if the soil has desirable “topsoil” -like characteristics and no traffic. 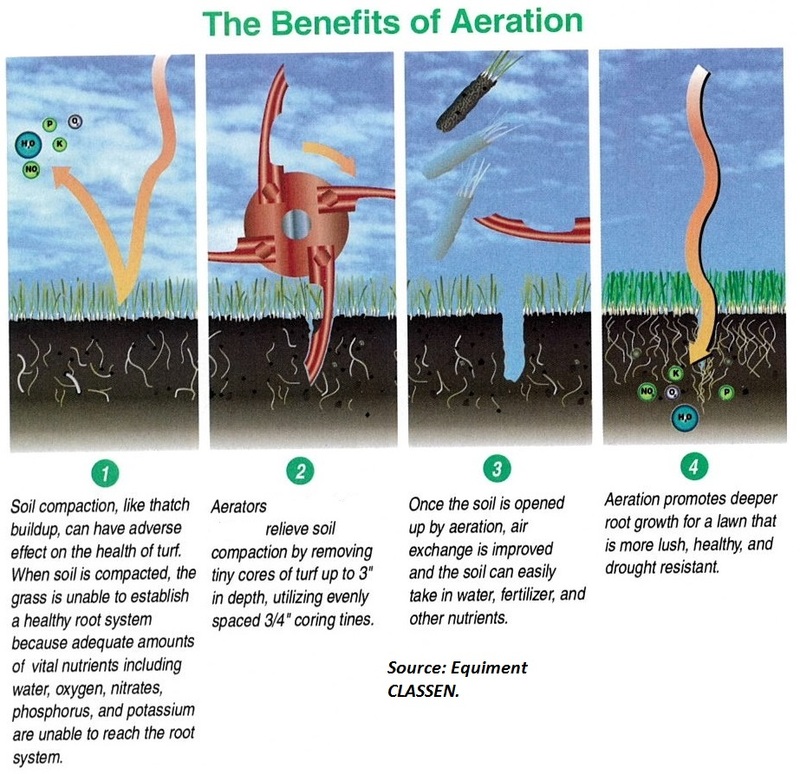 In poor soils or those receiving excessive traffic, core aeration can be extremely beneficial in increasing air exchange, water infiltration rates, water retention, nutrient penetration, root development and thatch decomposition. It also decreases runoff and therefore increases water use efficiency. According to Virginia Tech the best time to aerate the cool season lawns of Tall fescue and Kentucky Blue grass is in late August to mid October. This is when these lawns are coming out of Summer dormancy and beginning a period of vigorous growth and competition from weeds is also minimal during this time. 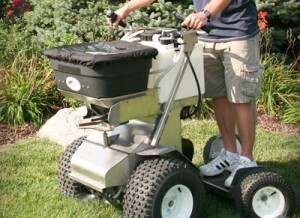 Remember, it is what you do this Fall that will determine the condition of your lawn next Spring or next year. Early spring seedings may succumb to crabgrass invasion or summer drought.